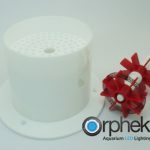 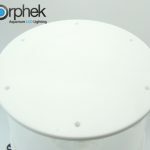 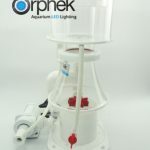 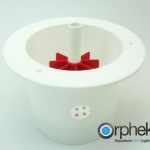 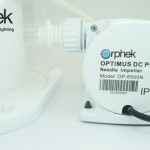 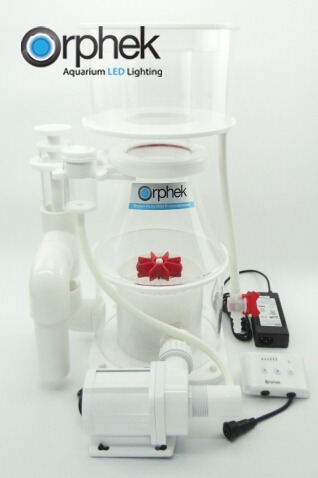 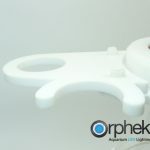 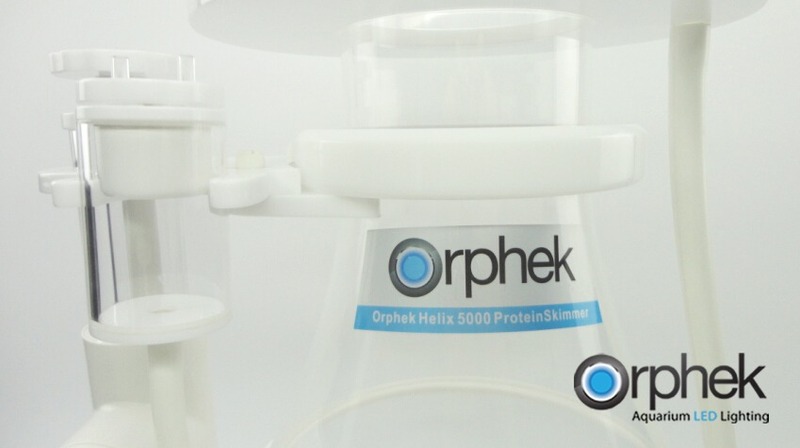 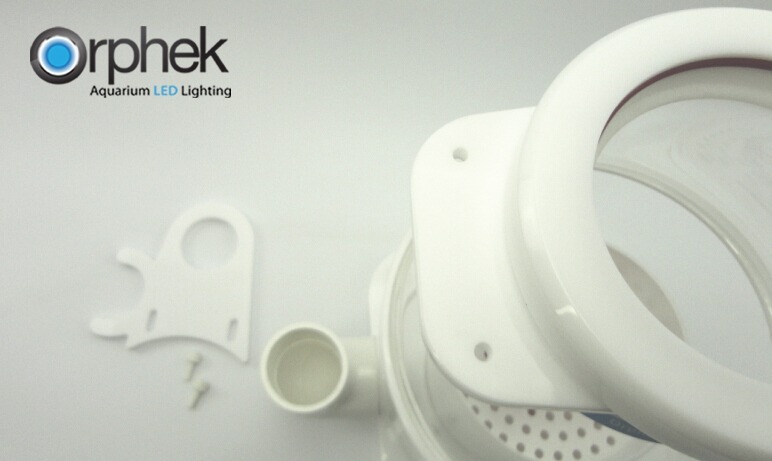 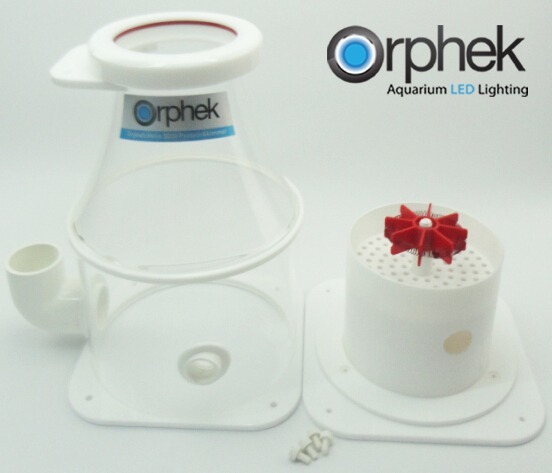 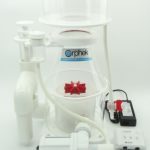 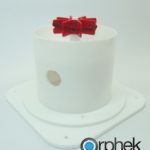 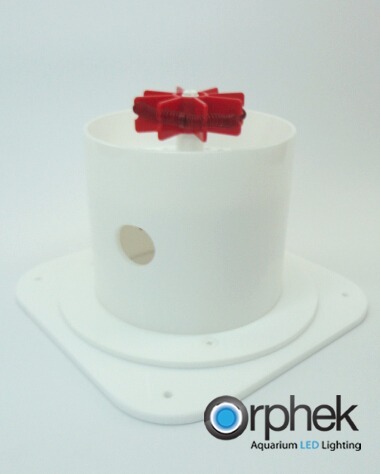 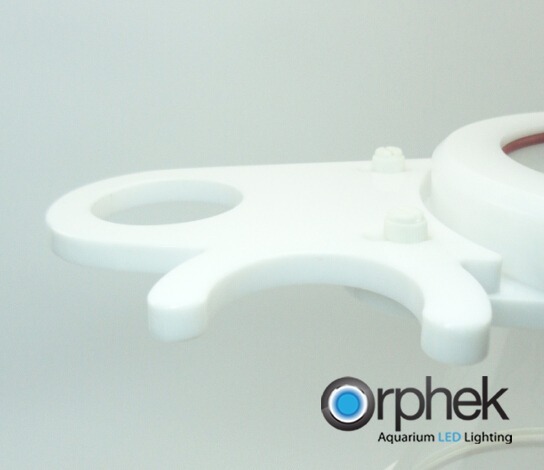 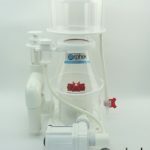 Orphek is proud to announce the release of their new improved Helix 5000 Protein Skimmer. 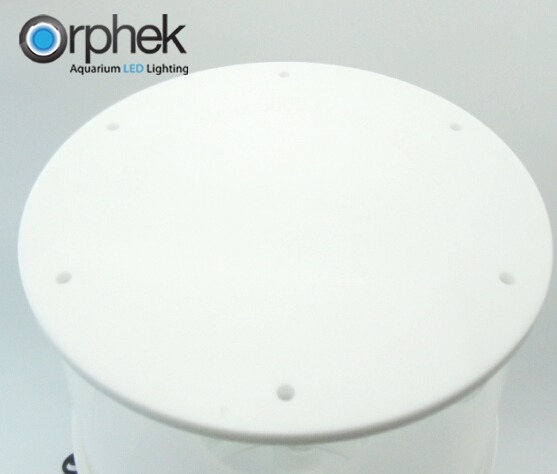 The Helix 5000 design vastly improves contact time in the reaction chamber while producing an enormous amount of very small micro bubbles. 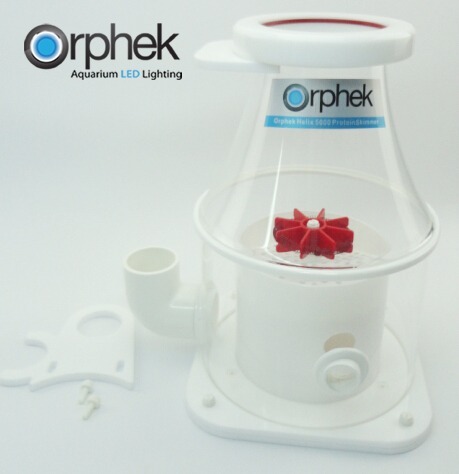 The increased amount of micro bubbles results in more waste being collected per hour than any other conventional protein skimmer on the market. 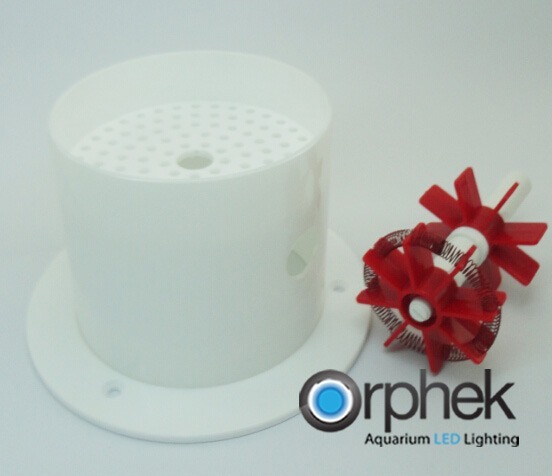 Requires less space in the sump, large bulky skimmers are not required. The helix 5000 design in combination with the high rpm DC 6500l/h pump moves large volumes of water in a spiral like fashion into the reaction chamber. 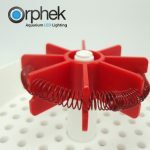 This creates a high speed cylindrical water motion which increases contact time while the helix design in combination with our dual impeller design to reduce bubble size tremendously. 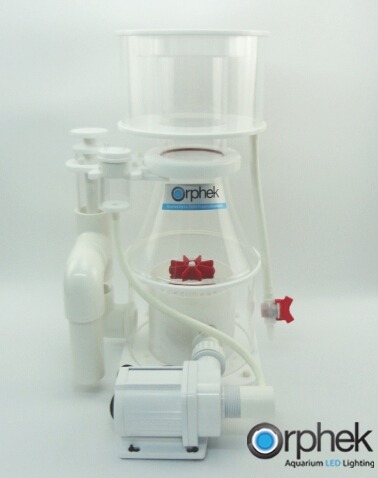 The cone shaped body promotes the waste laden bubbles to rise into the collection cup at a faster rate. 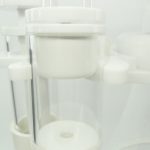 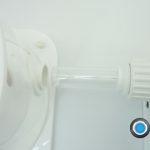 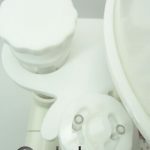 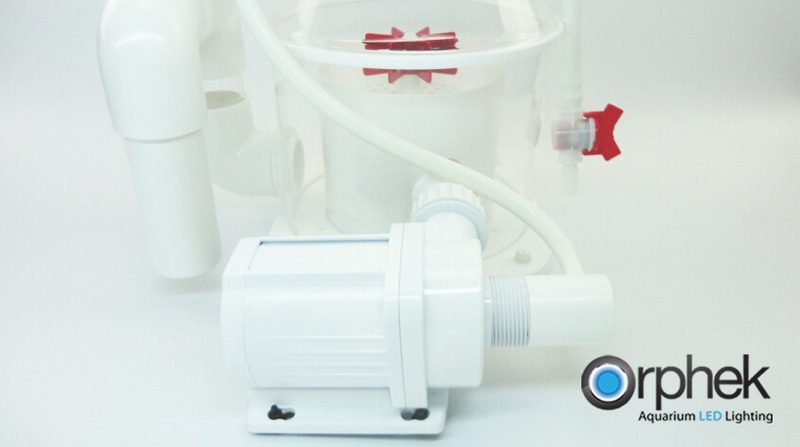 The white base, pump and trim dictate the same purity as the water it produces. 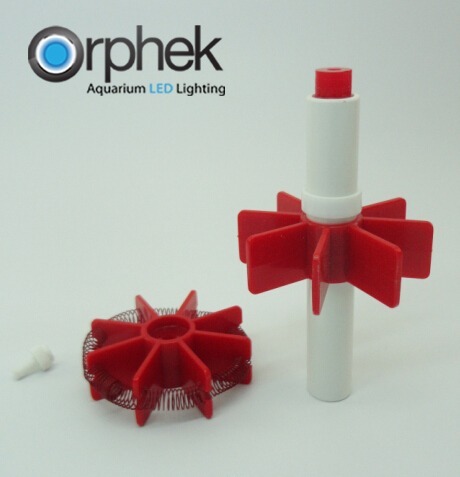 Why is our helix skimmer better than the competition? 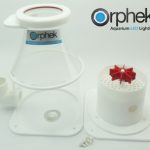 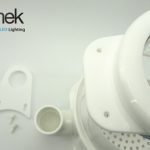 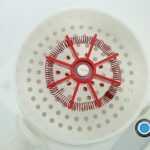 Because of our uniquely designed dual impeller and stainless steel spiral bubble diffuser which reduces the size of the bubbles to promote more contact area for waste to adhere to. 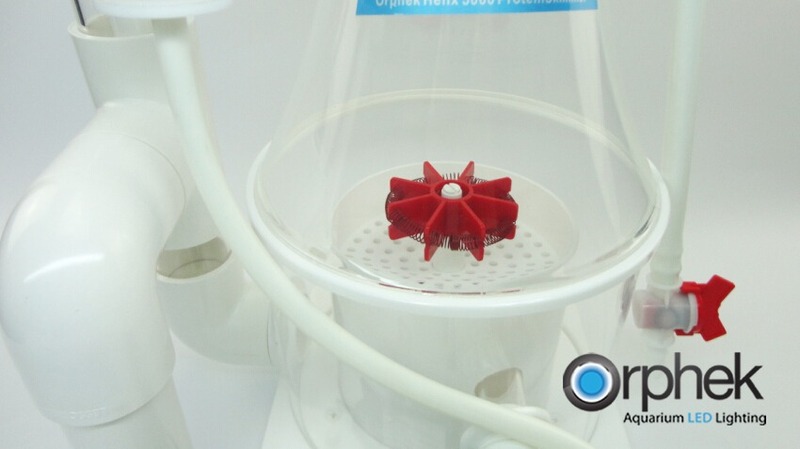 The first impeller making contact with the water chops the bubbles up to a fine consistency. 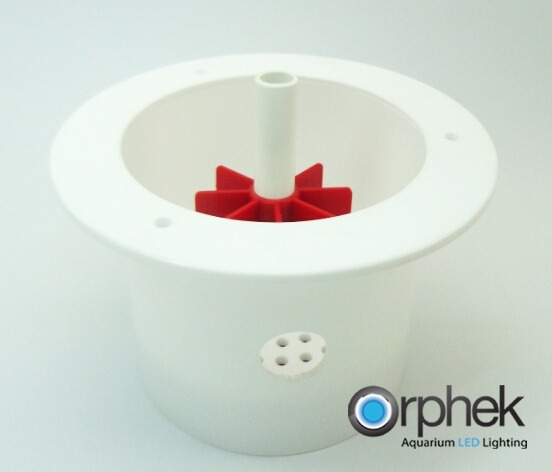 The second impeller has our high grade stainless steel spiral bubble diffuser integrated with the impeller to further reduce bubble size and increase bubble volume. 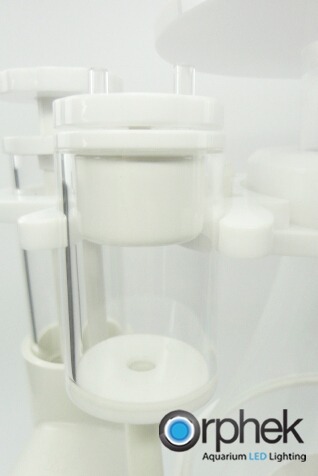 The results are more and smaller bubbles coupled with a high volume water movement into the reaction chamber. 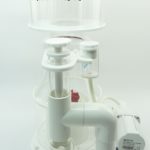 The high speed horizontal water column increases bubble contact time in the reaction chamber which allows more waste to adhere to the bubbles. 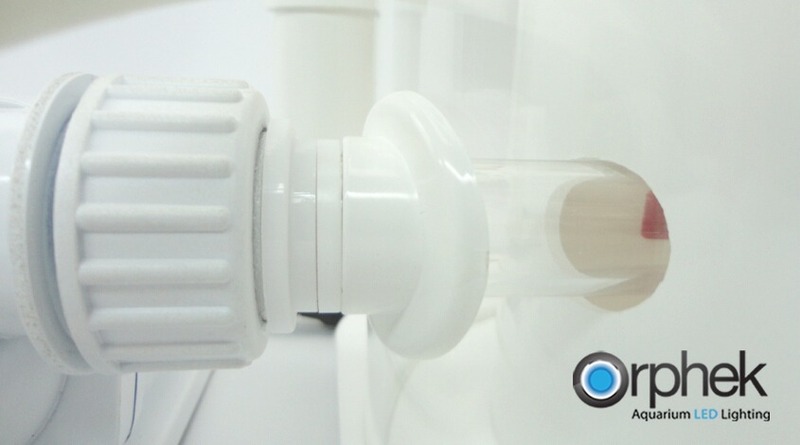 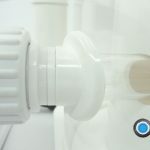 Our bubble plate then diffuses the bubbles and reduces turbulence of the water entering the conically shaped riser tube which helps prevent premature bubble breakage of the nutrient rich bubbles entering the riser tube. 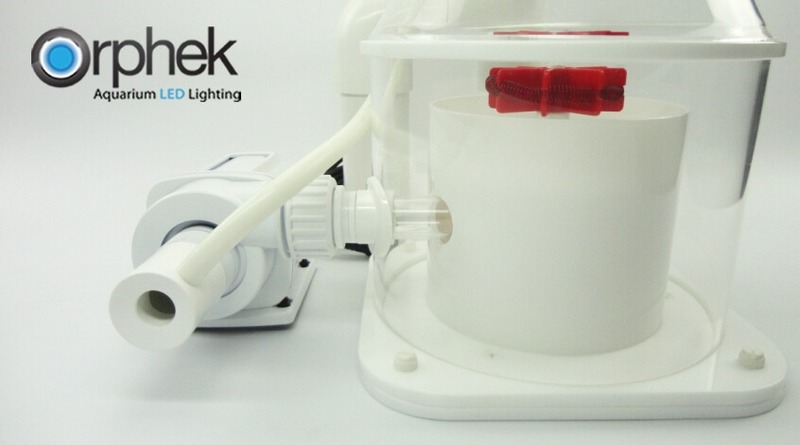 The new high speed 6,500 l/h DC controllable pump with controller offers high rpm impeller speed to move more water, more quickly, and more efficiently. 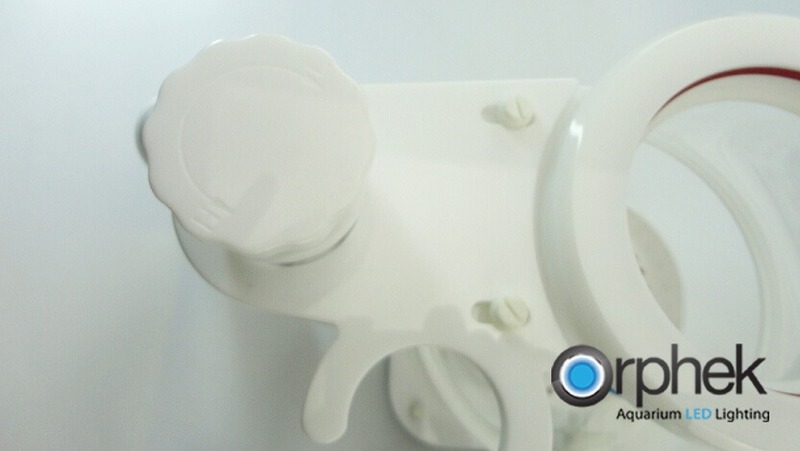 There is also a feed button on the controller to prevent premature extraction of additives. 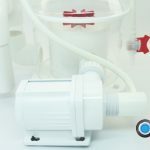 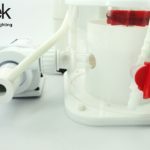 With a DC pump and controller, you can now take full control of your skimmer to give you exactly the skim you’re looking for. 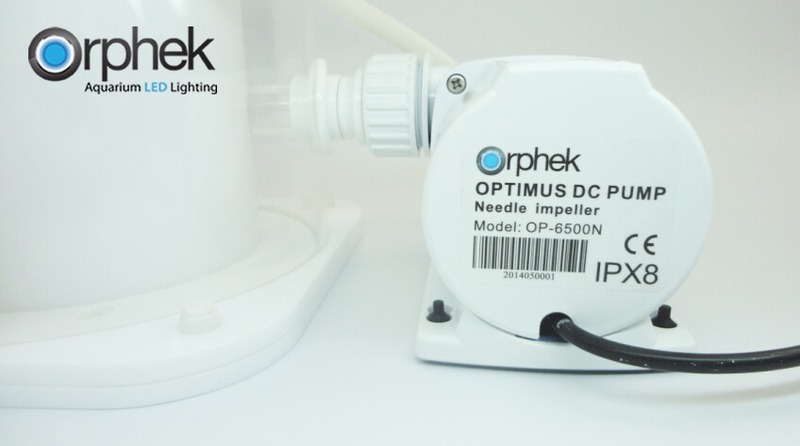 The pump is very energy efficient, drawing only 40 watts of power at full rpm and features a long lasting durable ceramic shaft. 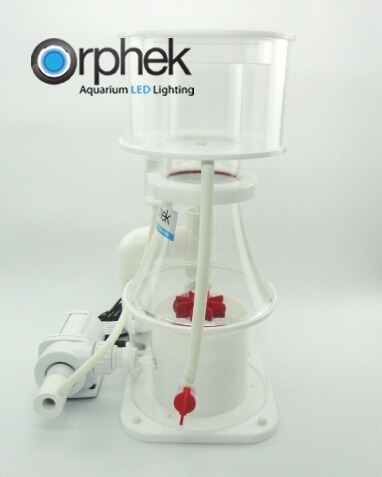 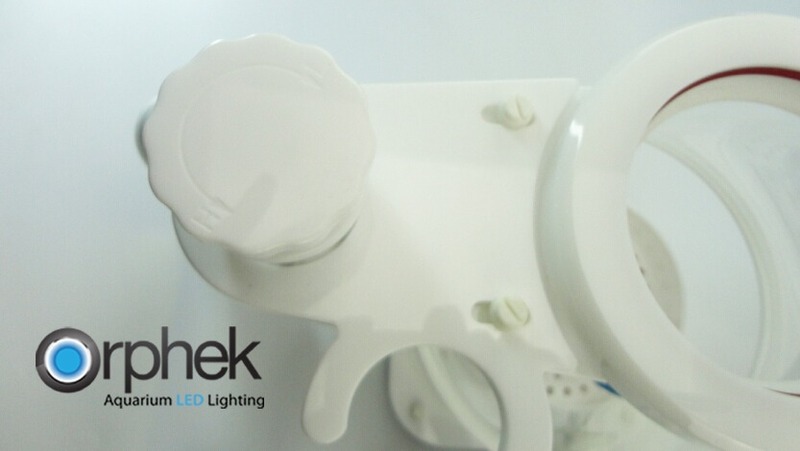 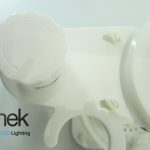 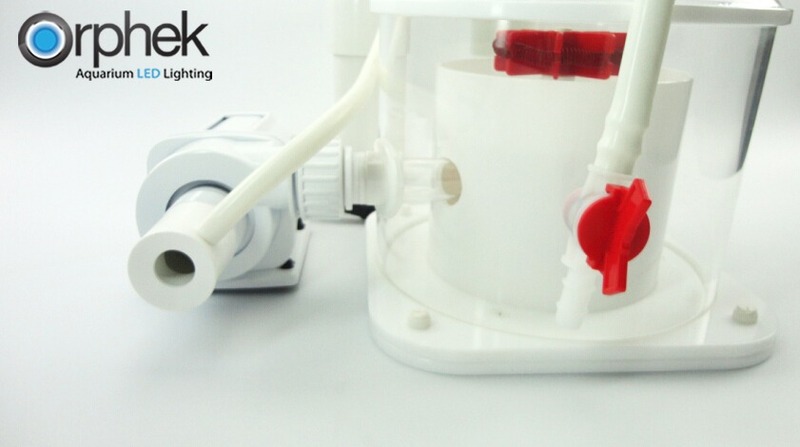 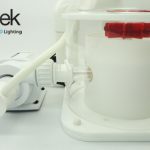 Controllable pump allows fine tuning of skimming produced giving you exactly the skim you are looking for. 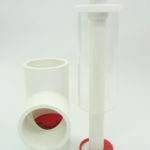 More durable riser tube cemented in place. 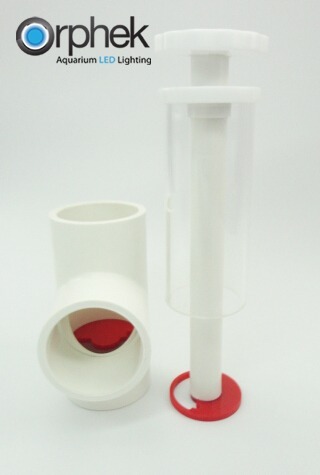 Silencer now made of ABS plastic improves appearance as well as durability. 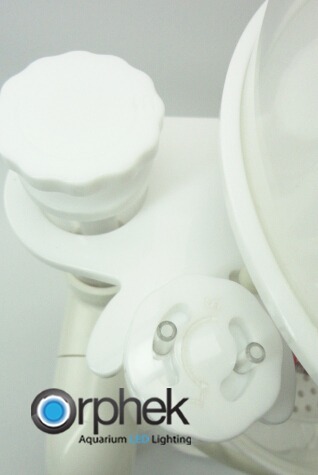 Outlet components made of ABS plastic. 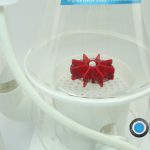 Helix wheels now made of ABS plastic. 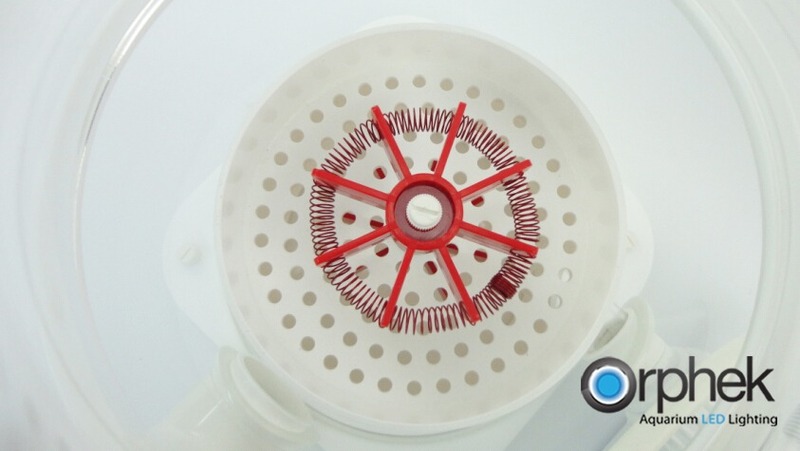 Dual wheels can be easily disassembled to facilitate easy cleaning. 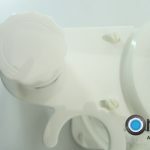 Input components made of ABS plastic and all maintain the same directional angle ensuring direct flow into the reaction chamber. 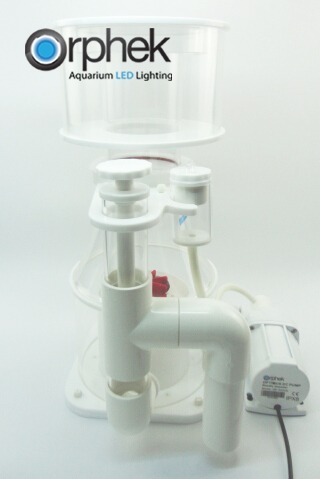 DC6500 pump now used increases flow rate by 24%. 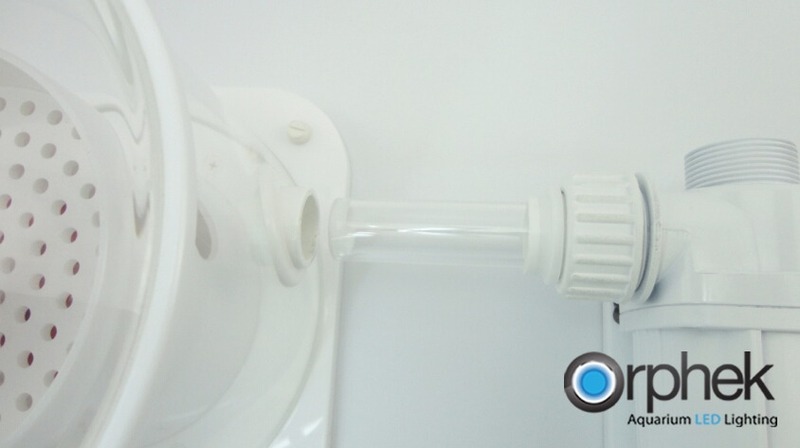 Energy efficient; up to 65% savings over conventional pumps.